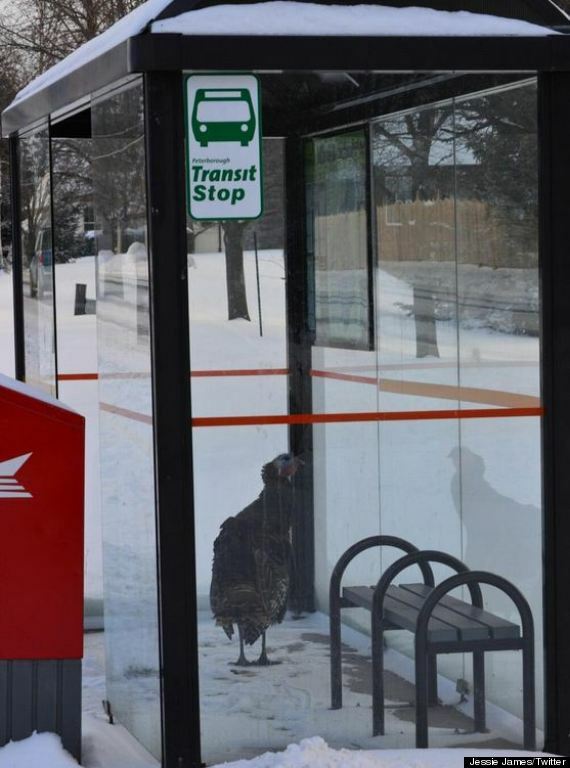 It's not every day you see a turkey at your local bus stop, but for residents of Armour Road in Peterborough, Ont., watching the birds roam the streets is getting kind of old. A few weeks ago, local news site PTBO Canada tweeted there was a traffic alert due to wild turkeys on the road. As it turned out, these wild turkeys have called Armour Road their home for a few months now. But as these birds have gained a small measure of fame, they've also become a major distraction. In November, one turkey had to be euthanized after roaming the streets and getting hit by a car, according to MyKawartha.com. The site also says the fallen turkey's sibling now calls Armour Road its official home — a true lone bird. 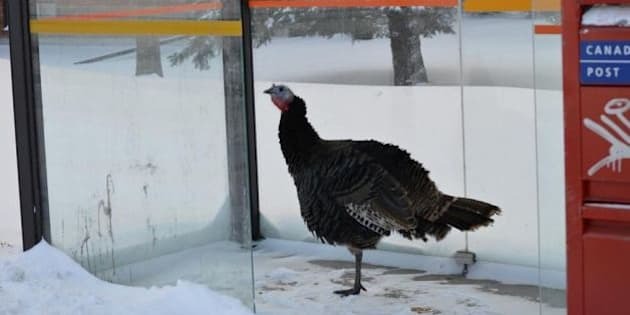 Just this past weekend, Twitter user Jessie James posted this photo of a wild turkey in a bus shelter. And while it may not be the Ikea monkey, perhaps it's time for the Peterborough turkey to have its time in the spotlight. Have you seen this turkey? Let us know in the comments below.